It's a bird scares an owl-shaped natural size. These owls are very effective bird control for gardens, crops, gardens or open area. 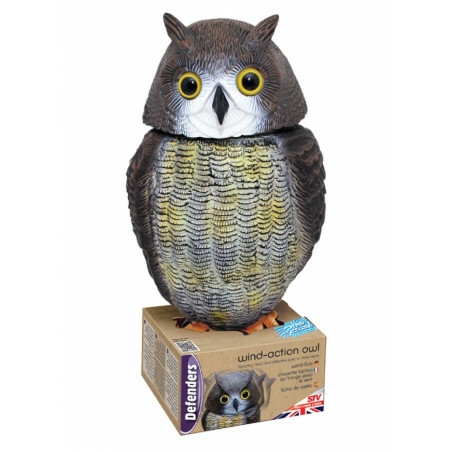 - Wind-action owl protects vulenrable garden areas. - With wind-activated rotating head nd reflective eyes that give a life-like feature. - The realistic profile deters birds and nuisance pests from any garden area. - Set it up using the mounting hole on the base wherever pests are a problem. - Wind and reflected light animate the wind-action owl to deter pests naturally.